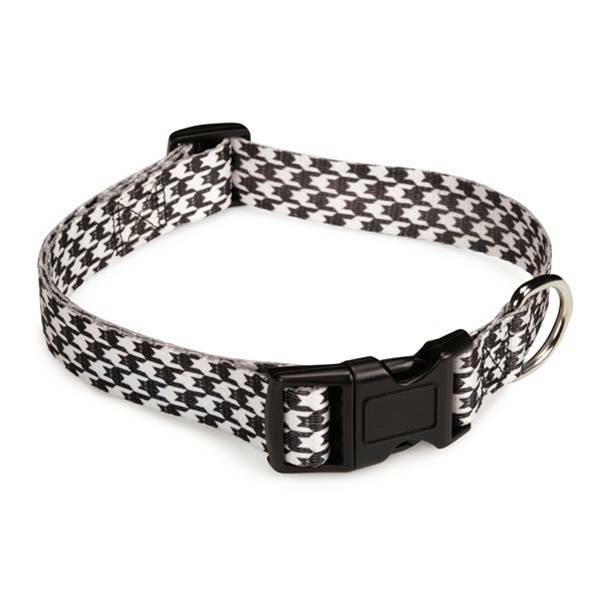 Perfect for pets that want to be spooky and stylish this Halloween, the East Side Collection® Houndstooth Bat Pet Collar features a clever variation on the classic houndstooth pattern! The East Side Collection® Houndstooth Bat Pet Collar is perfect for pets that want to be spooky and stylish this Halloween. This clever variation on the classic houndstooth pattern replaces checks with bat and is the ideal Halloween item for those who don’t want an elaborate costume. 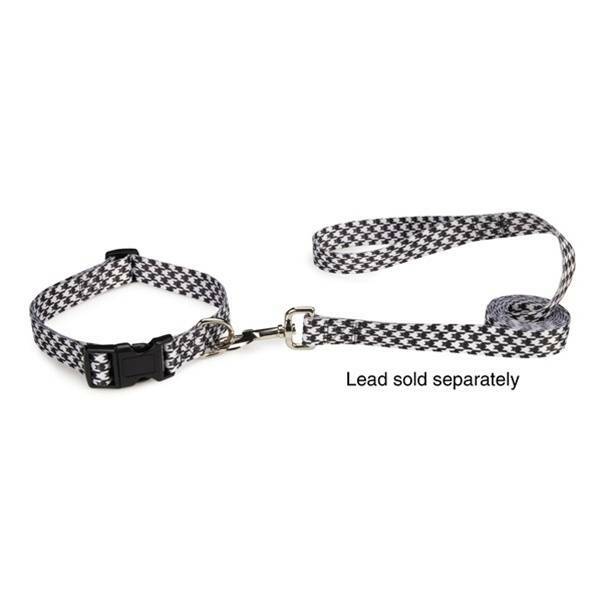 Each nylon collar is fully adjustable and features a quick-release buckle and a metal D-ring. Coordinating East Side Collection Houndstooth Bat Leads are also available.